"We have thought of thy lovingkindness, O God, in the midst of thy temple." 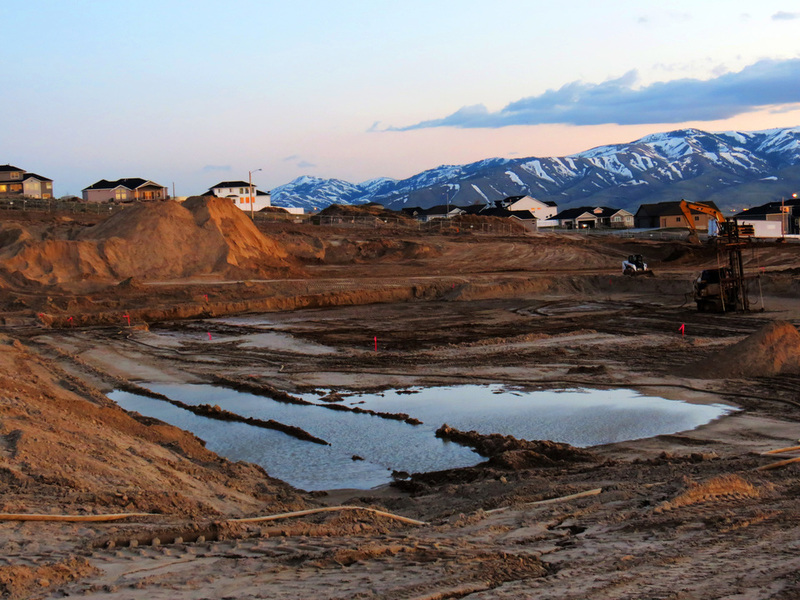 Massive amounts of dirt have been removed from the Pocatello Idaho Temple site, leaving a large excavation area for the temple foundation, which has collected moisture. A drainage pump is dewatering the site while dirt continues to be removed from other sections of the lot. To achieve relatively flat ground, retaining structures will be incorporated into the hard landscaping including a large retaining wall along the rear side of the property bordering Legacy Drive. 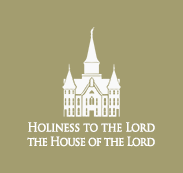 President Russell M. Nelson announced at a news conference on April 19, 2019, that the Salt Lake Temple will close on December 29, 2019, for approximately four years for a major renovation and restoration project including improvements to the surrounding grounds and facilities. 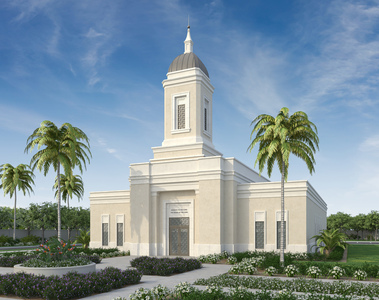 The temple is expected to reopen in 2024 when guests will be invited to tour the interior during an open house. The project will address seismic issues by creating a base isolation system for the temple foundation. Aging mechanical, electrical, and plumbing systems will be replaced inside the building, and the interior will be refreshed while preserving its historic details. The existing annex and north-side addition (built in the 1960s) will be demolished and replaced. The South Visitors’ Center will also be replaced with two visitor pavilions. 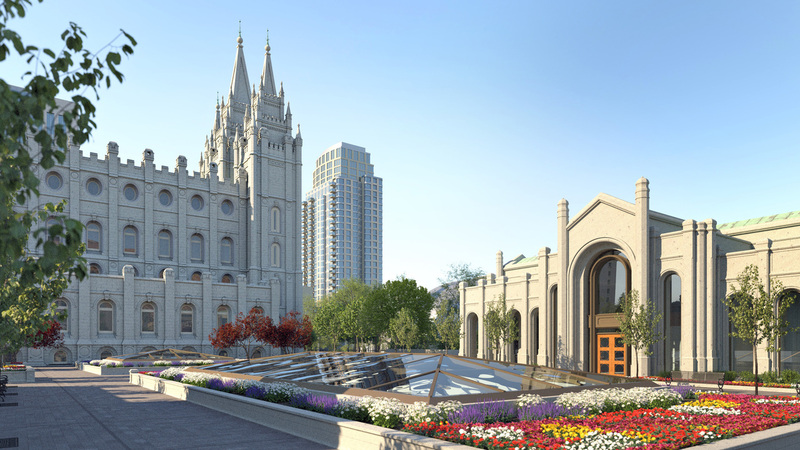 In the future, the temple will be accessible through a patron tunnel from the Conference Center parking facility or from patron pavilions located on the north side of the temple connecting to the recommend desk area and grand hall featuring large skylights with generous views of the temple. 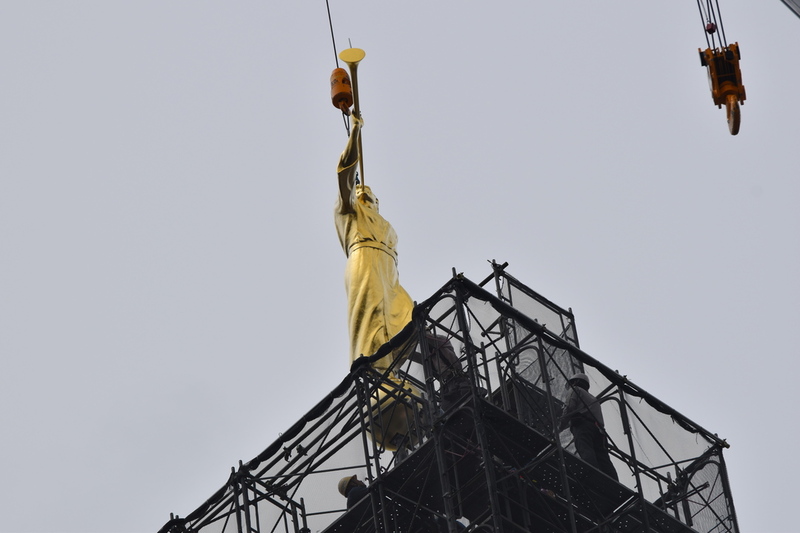 Numerous members in Tokyo gathered to the Tokyo Japan Temple yesterday to witness the installation of the angel Moroni statue atop the spire. The temple closed approximately 18 months ago for an extensive renovation project. 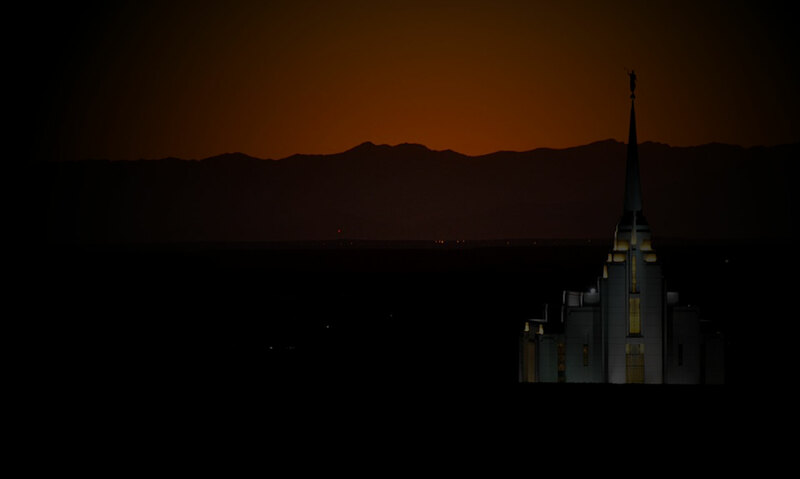 Members look forward to the reopening of the temple and to participating regularly in temple ordinances. 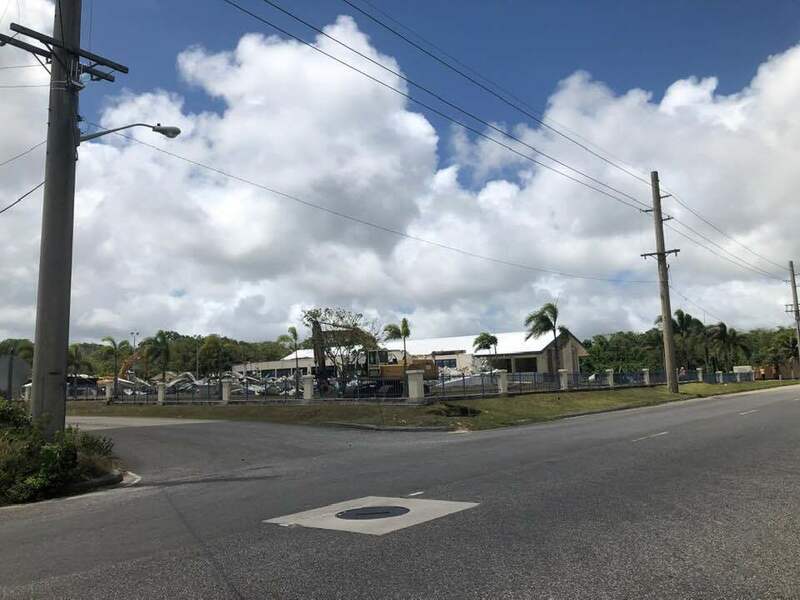 With two weeks remaining before ground is formally broken for the Yigo Guam Temple, demolition crews have arrived on site to carry out removal of the existing building. The temple will be constructed where the meetinghouse currently stands, and a new meetinghouse will be constructed on the field behind the temple. 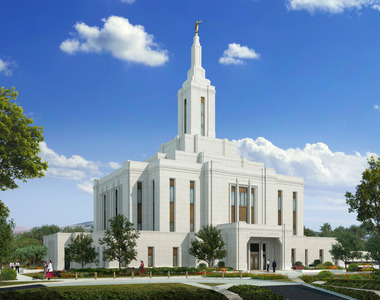 The construction and renovation of Latter-day Saint temples is determined by the Church's First Presidency. 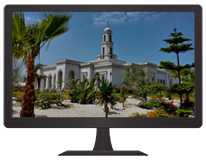 New temple locations are most often announced at the Church's semiannual General Conference meetings. 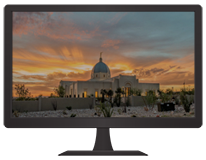 Download the latest screen savers for Windows PCs featuring every dedicated temple of The Church of Jesus Christ of Latter-day Saints. You can choose daylight or evening photographs.